I am trying to buy a Flying Wing glider of traditional balsa/ply construction and so far have not found a single supplier! I don't want a foam/EPP type on this occasion but an ARF swept wing model, pure glider or electric, about 4 feet to 8 feet span and I am amazed they are not listed anywhere in Europe. Thunder Tiger did produce two wonderful models, the "V-Bat" and the "Velocity 2". While both models are listed by Google they are not actually in the shops anymore. So if anyone knows where I can buy one please e-mail me or reply timcostello1@eircom.net. It was always a most magestic if not mystical sight, to see a couple of flying wings aloft against a blue sky with the sun shining through the wing structure. Various countries on the European mainland held 'tailless gliders only' competitions with mass launches. Now that was really a sight to behold! Tim. There was a wing of the sort you describe made by Robbe which went out of production only a few years ago, I cannot remember what it was called, but it was very attractive. A new kit of one came up on eBay a few months ago. Perhaps a little trawling through the internet might bag one. (In Europe perhaps). One I have earmarked to build that you would love is CIR, freebie plan with RCM&E January 2002 - buy the back issue with the plan and article if you can. P.S Have a look at the Horten XIIIA on Gurrgle, I have some plans if you want to give it a go. Just build one, I did 15-20 years ago. It is now in its 4th iteration, from IC power, a glider and now electric. There is another classic aerobatics wing with some great detail solutions. Hi Tim, have a look at a RES Dart from Hyperflight (or directly from the German supplier) or search for Orion 7 Neurflugel on the internet. I have just built the RES Dart and it’s a really good kit. 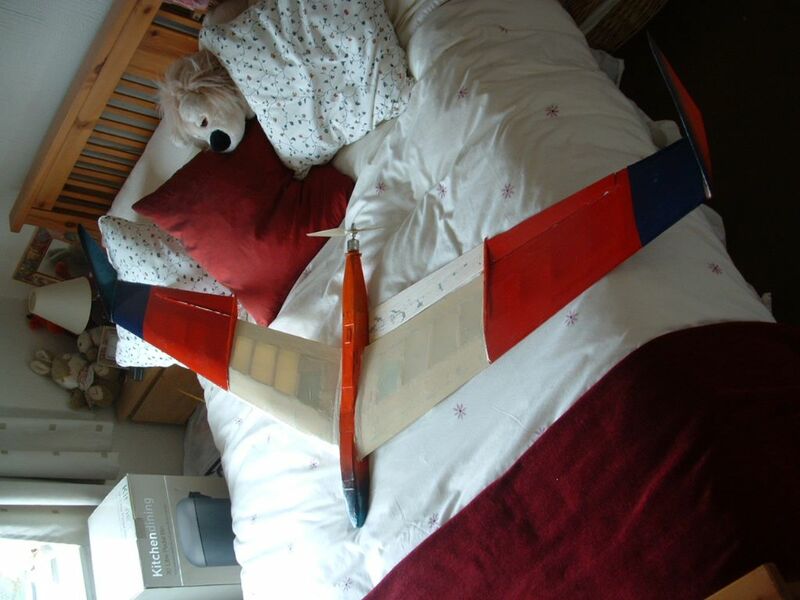 I have the Orion 7 to build next and this is a 3 m wooden glider for pure gliding or electric power. PM me if you want more information. All Forum Topics > Gliders and Gliding - General Discussion > Flying Wing glider wanted!